Autism research includes studies of the autistic brain. Brain research may hold important clues to possible causes and treatments for autism. While the cause of autism is still unknown, many studies point toward a possible connection between brain structure and autism. What exactly does current brain research reveal about autism? Brain growth: The brain of some children with autism grows larger and develops faster than children experiencing normal brain development at around 12 months. The accelerated growth during this developmental period can negatively affect language and cognitive skills. Brain structure: The sizes of certain areas of the brain, such as the corpus callosum and amygdala, are different in people with autism than in unaffected people. The corpus callosum has smaller middle and back lobes and the amygdala is larger than the same brain areas in people with typical brain development. People with autism may have multiple brain structure differences. Brain function: The autistic brain functions differently than an average brain. The structural differences in the brain, such as minicolumns with numerous small brain cells, cause a person with autism to think, perceive and react to things differently than a person with typical brain development. Experts are divided on the factors that may cause the autistic brain differences. Genetics, a testosterone connection and environmental toxins are among the many theories. A large segment of the medical community believes there is a genetic component to autism and autistic brain structure and function. Some studies indicated that some people with autism share a genetic variation. A number of recent studies provide information on unique aspects of the autistic brain. The University of Washington School of Medicine conducted a study comparing the brains of 60 children with autism to 16 children with developmental delays and 10 children with typical brain development. The study used magnetic imaging scans (MRI) to study the transverse relaxation (T2) of cortical gray and white matter in study participants' brains. The researchers found that children with autism had unique differences in the brain's gray matter. The T2 gray matter findings were different from the gray matter of children with development delays and children with typical development. The results also suggested that the enlarged autistic brain size may be the result of an altered gray matter cellular structure or a pathologic brain process such as inflammation. Another University of Washington study analyzed the electroencephalography (EEG) scans of 36 adults to measure brain cell activity. 18 adults with autism were compared to 18 adults with typical brain development. The results show that participants with autism had abnormal patterns of brain cell connection in the temporal lobe. The researchers concluded that the unusual brain patterns suggest that certain regions of the brain, particularly the frontal lobes, do not communication or coordinate efficiently with other parts of the brain. 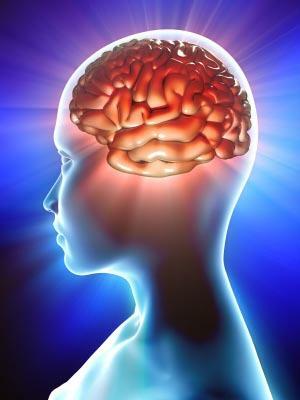 A 2007 Wake Forest University Medical Center study found that people with autism may have brain cell connection impairments within a single brain region in addition to brain cell connection problems between brain regions. The researchers used magnetoencephalography (MEG) scans to study brain electrical activity. 10 children with autism and 10 children with typical development listened to a series of clicks that occurred every 25 milliseconds. The MEG measured each participant's brain response to the clicks. The participants with autism had a diminished response in the left hemisphere of the brain compared to the participants with typical brain development. At the Autism Consortium, researchers scanned the dna of 751 people with autism and found that one percent of people with autism share a consistent variation on chromosome 16. The researchers also noted that the same genetic anomaly on chromosome 16 was found in people tested at the Children's Hospital Boston and in Iceland. The Children's Hospital of Philadelphia study compared the brain waves of 32 children with autism and 32 children with common brain development. Study participants wore a helmet device that recorded brain waves while wearing headphones and listening to a series of rapid beeps. Researchers compared the brain waves of both groups of children and found that autistic children had a delayed brain response by one-fiftieth of a second to each sound. Researchers at the Yale Child Study Center conducted a social response study of a group of children with autism. The researchers showed two versions of cartoons in split screen to a group of autistic and nonautistic children. One side of the screen played the cartoon normally. The other side showed the animation upside down and in reverse. The soundtrack played normally in the background. The study found that the toddlers with autism looked back and forth between both sets of cartoons. The children with typical brain development preferred the normal,upright cartoons. The study found that children with autism responded to audio-visual synchronies or the match of vision and sound, such as watching someone's mouth move during speech instead of looking in the person's eyes. Autistic brain research provides insight into how a person with autism sees the world. The research not only reveals that autism may involve multiple neurological impairments but also illustrates important structural differences in the autistic brain. Current research on the structure and function of the brain also demonstrates the complexity of the autistic brain. Recent studies provide hope that continued research can lead to effective future treatments for autism.